Our Best Dungeon tournament continues with two new titles. As Great Palace and Thieves’ Hideout duke it out in yesterday’s poll, the winning dungeons of Ocarina of Time and Phantom Hourglass step into the fray. Introduced late in Ocarina of Time, the Spirit Temple makes the most of pretty much every skill the player has cultivated over the course of the game. Just about every item, tool, and spell found throughout Link’s adventure finds its use in this trap-laden dungeon; the structure holds a number of mini-boss encounters, with the Iron Knuckles being particularly punishing; and the temple is the only one in the game to make use of Ocarina‘s time travel mechanic, as both Child Link and Adult Link need to explore its chambers. Add a compelling sub-plot involving Twinrova and Nabooru, and you have an exceptional Zelda dungeon. For those disappointed by Wind Waker‘s Ghost Ship mini-dungeon, Phantom Hourglass made up for its predecessor’s shortcomings with a Ghost Ship of its own. This haunted vessel holds several spooky enemies that one would expect from a dungeon with “ghost” in the title. Poes, bats, and spiders lurk in the shadows of the creaky hull, and Reapling sentries patrol the decks for potential prisoners. The main objective of the Ghost Ship is to find the four Cubus Sisters and lead them to safety; but once Link saves the mysterious quartet, they are revealed to be the true bosses of the dungeon. 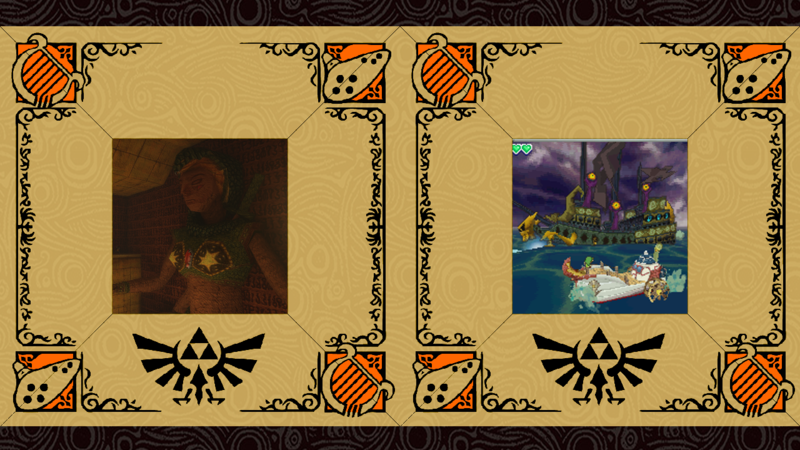 This twist and the Ghost Ship’s interesting aesthetic definitely set it apart from other dungeons in Phantom Hourglass. How are you liking the hair cut?